We are proud to introduce our SE21 hubs, a name with multiple meanings. Our founding school Dulwich College sits in Southeast London, in the SE21 postcode, while here at Dulwich College International, the "S" in SE21 stands for STEAM, the "E" for entrepreneurship and environmental sustainability, and "21" for the 21st century skills developed in our approaches to learning framework. The first wave of SE21 hubs in three DCI schools will provide locations for pitching ideas, phase one robotics, coding, CAD/CAM, graphic design, film, digital, and virtual reality. Students will be engaged in entrepreneurship and real-world problem solving, pulling in elements of engineering, filmmaking and project-based learning. SE21 frames the Dulwich vision for 21st century education and our definition below underlines our ambitious goals and comprehensive agenda. SE21 represents much more than simply activities, programmes or spaces as we believe it is only through establishing a transformative learning culture that students will be able to develop skills and dispositions to successfully engage in life beyond graduation. Anticipating the future landscapes beyond university, SE21 will encompass a variety of opportunities within and outside of the curriculum that focus on experiential and project based learning with real world application. SE21 will seek to improve character strengths to enable students to develop entrepreneurial skills adapted to new ways of imagining work in our growing gig economies. This will require the development of creative and financial literacy, as well as the ability to invent opportunities rather than follow established careers. As effective collaboration is the key to this future landscape, teamwork will be a prominent feature of SE21 learning at Dulwich. Our bold ambition is to innovate in both the process and products of student learning in order to create a better world. By better we mean in that the guiding principles of integrity and sustainability underpin our students’ engagement with life beyond school so they are not simply consumers but worldwise contributors. To be fulfilled and purposeful in life and work, we need to develop a wide range of character strengths and skills. The DCI framework below provides a means to capture the diverse activities and learning developed through our SE21 and Wellbeing culture. DCI has adapted the IB's Approaches to Learning (ATL) framework for this purpose and the language can be revised as we move forward in our own particular contexts at every age and stage. 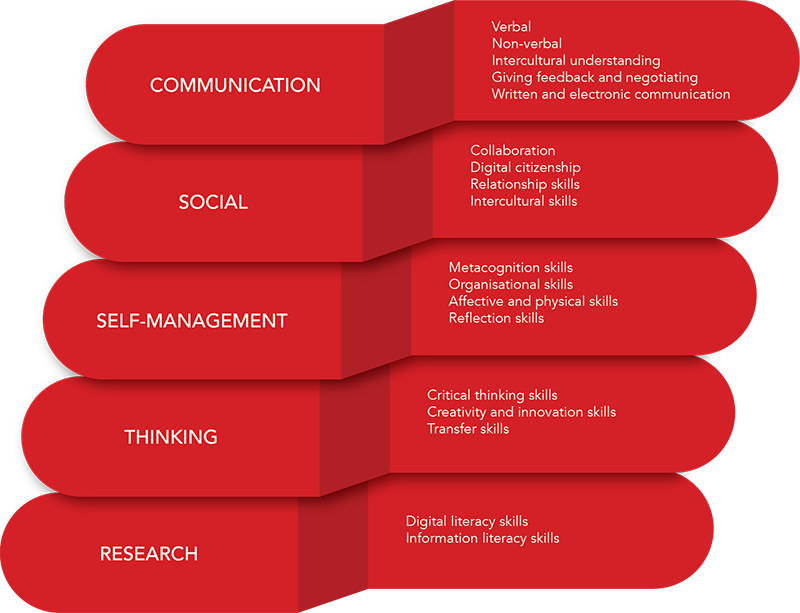 Subsequently both the character strengths and skills domains/clusters/descriptors can be regularly revisited to ensure they are meeting the needs of our community.